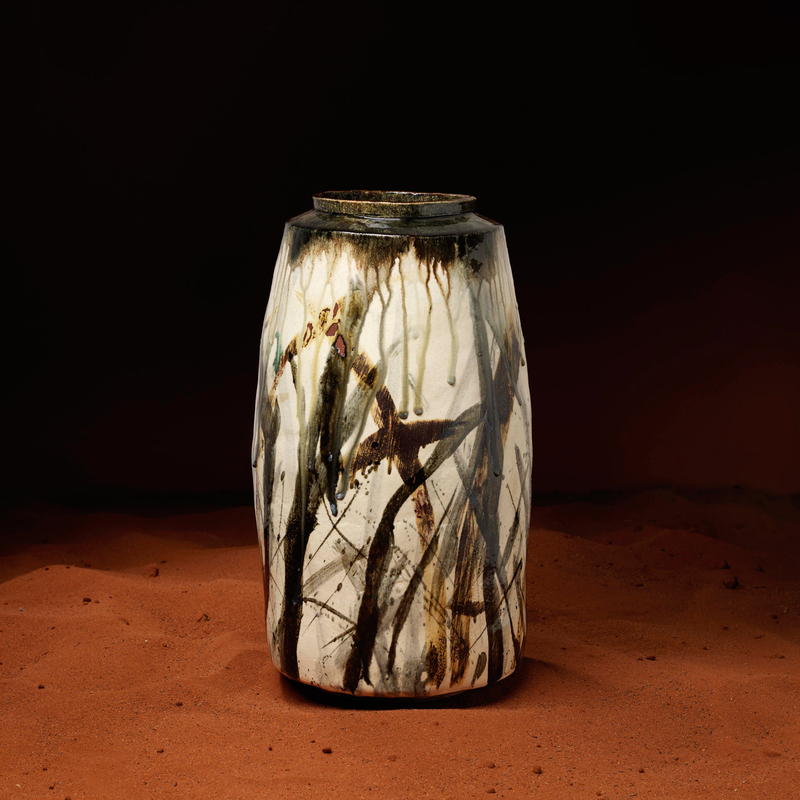 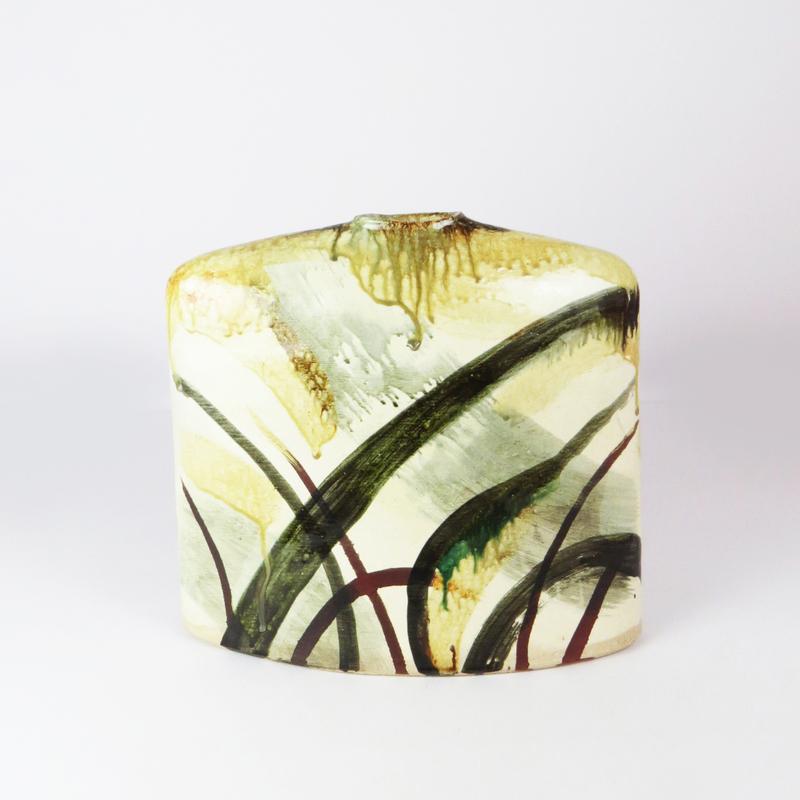 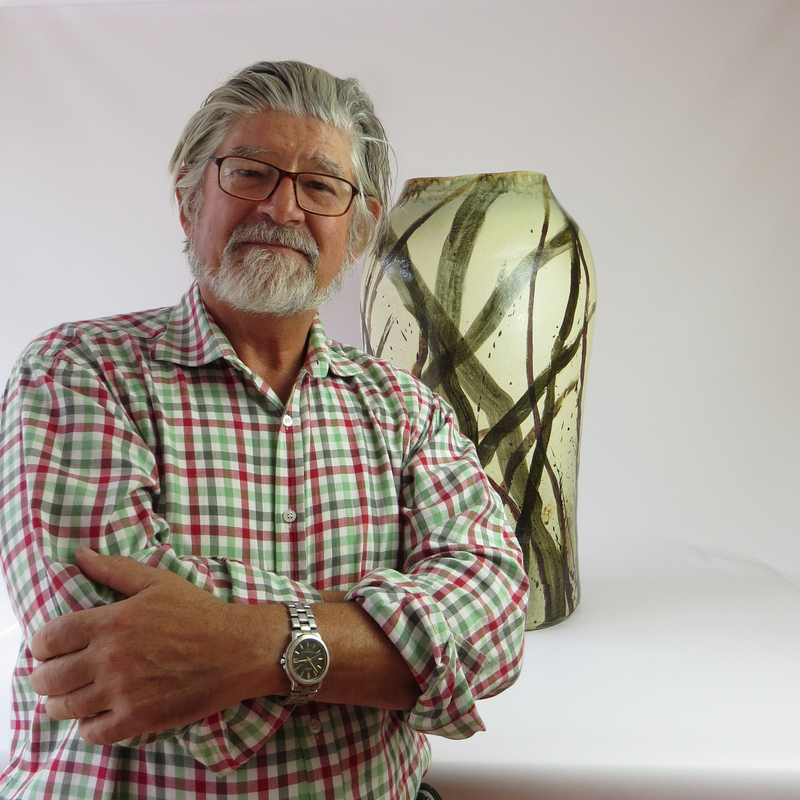 Inspired by his childhood home in the Coorong, as well as his current home in the Adelaide Hills, Jeffery Mincham’s work has had a resounding impact on the contemporary studio ceramic movement in Australia. 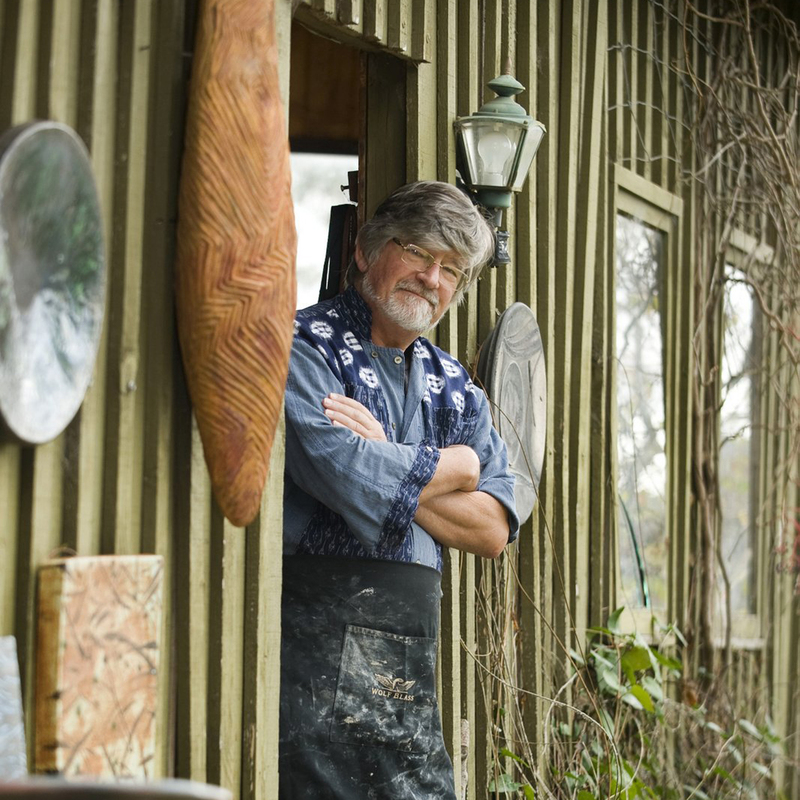 In 2011 he was awarded a Member of the Order of Australia (AM) and in 2009 was instated with the title of ‘Living Treasure’ through Craft Australia. 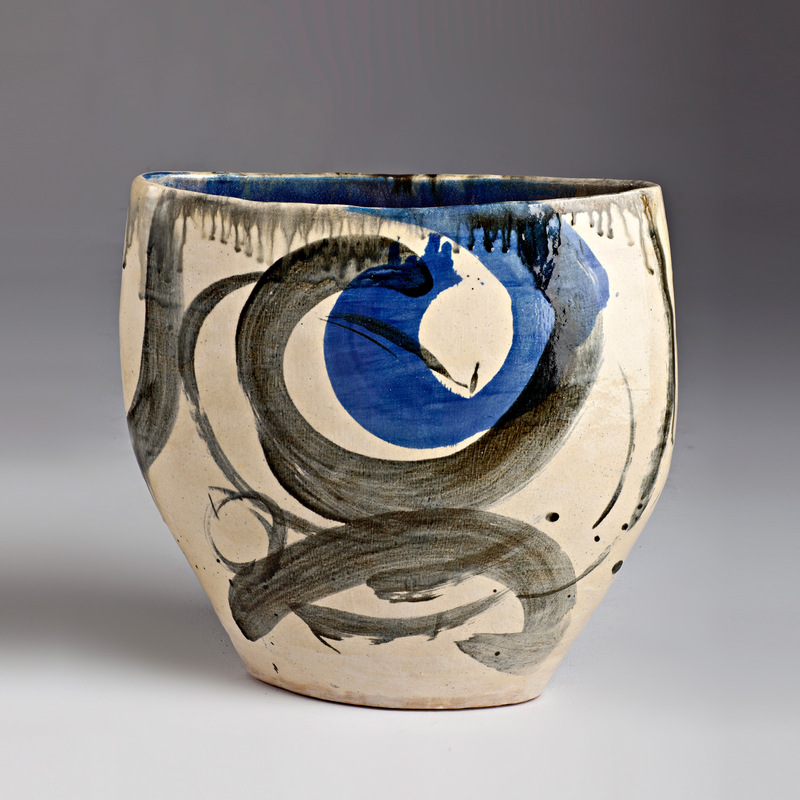 This resulted in a 3 year Australia-wide touring solo exhibition as well as a publication that recorded much of his thirty year career. 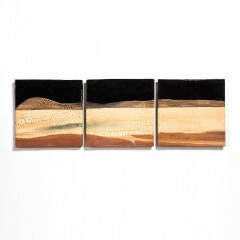 Mincham’s work has a recognizable landscape quality which is inspired mainly from his view from his studio, the weather patterns, seasons and farming lands nearby. He undertook five years of training, under such luminaries as Milton Moon & Les Blakebrough, and first exhibited in 1976. 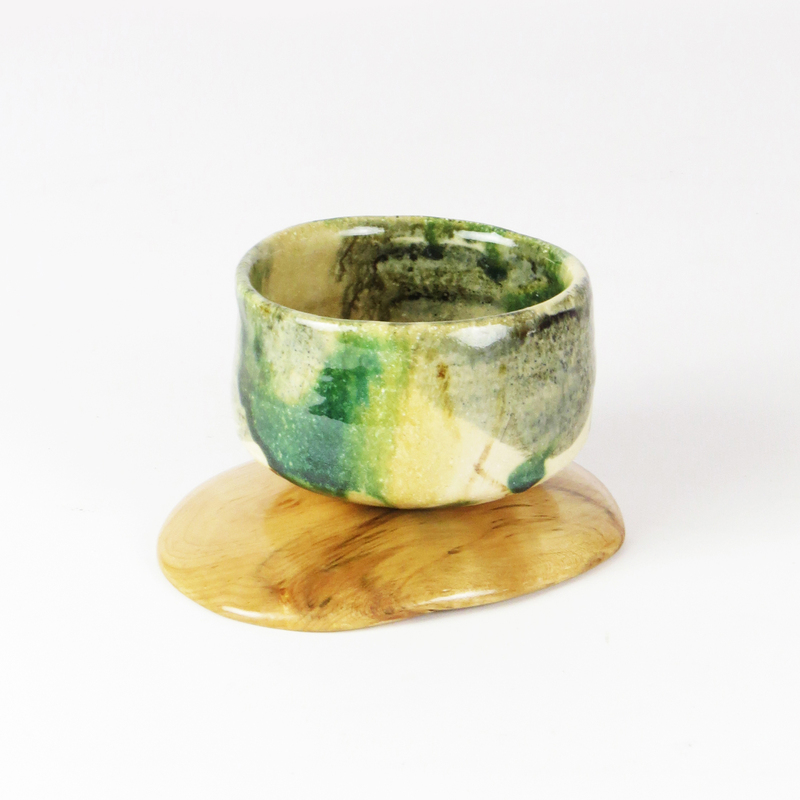 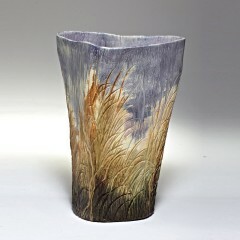 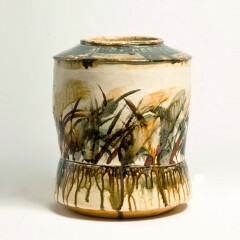 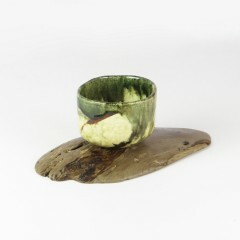 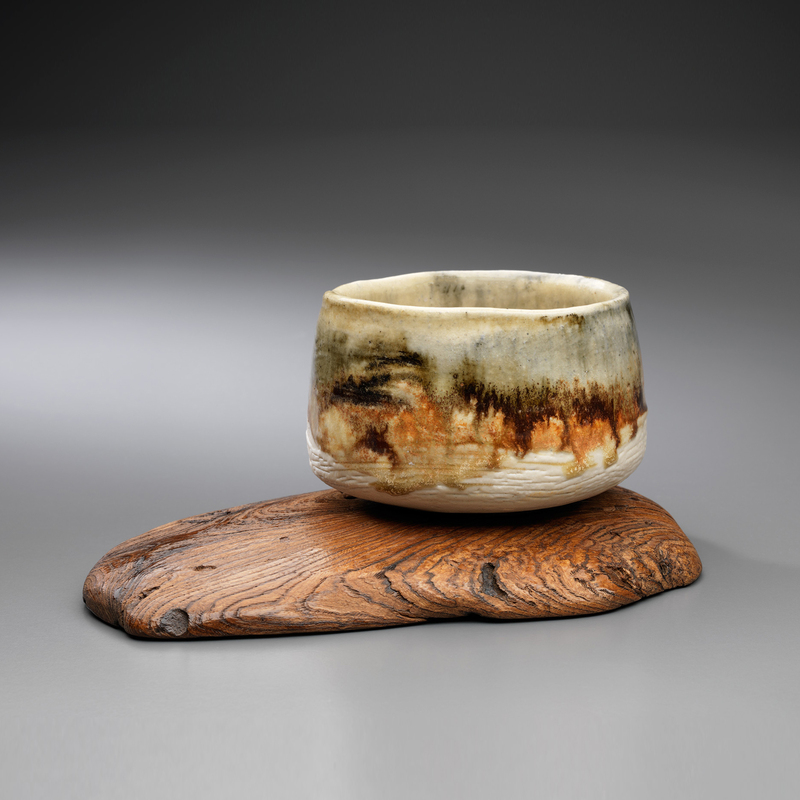 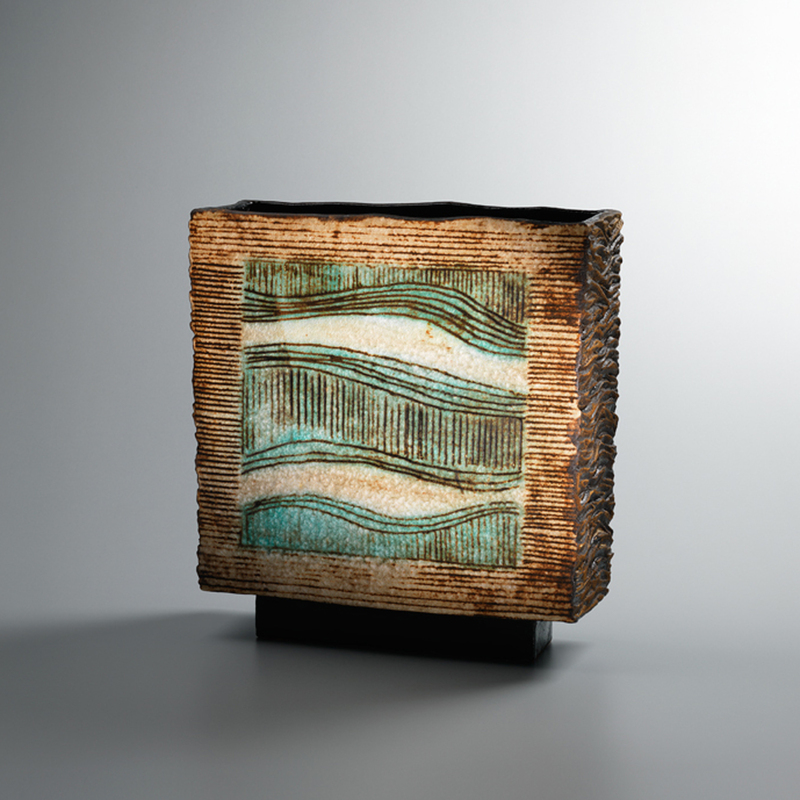 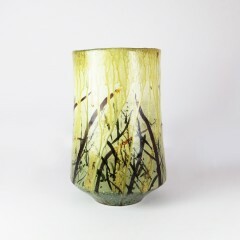 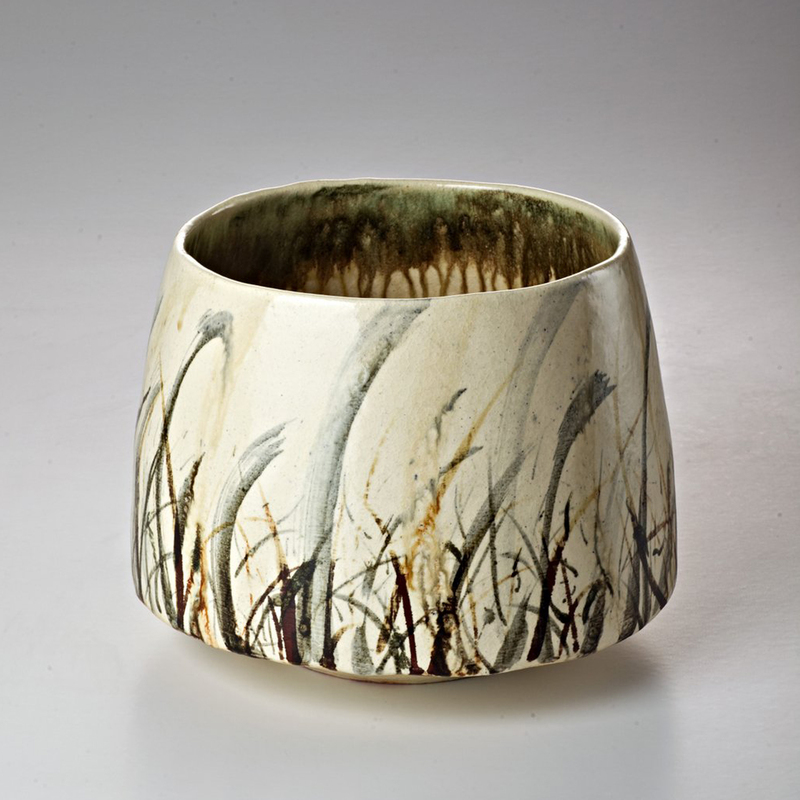 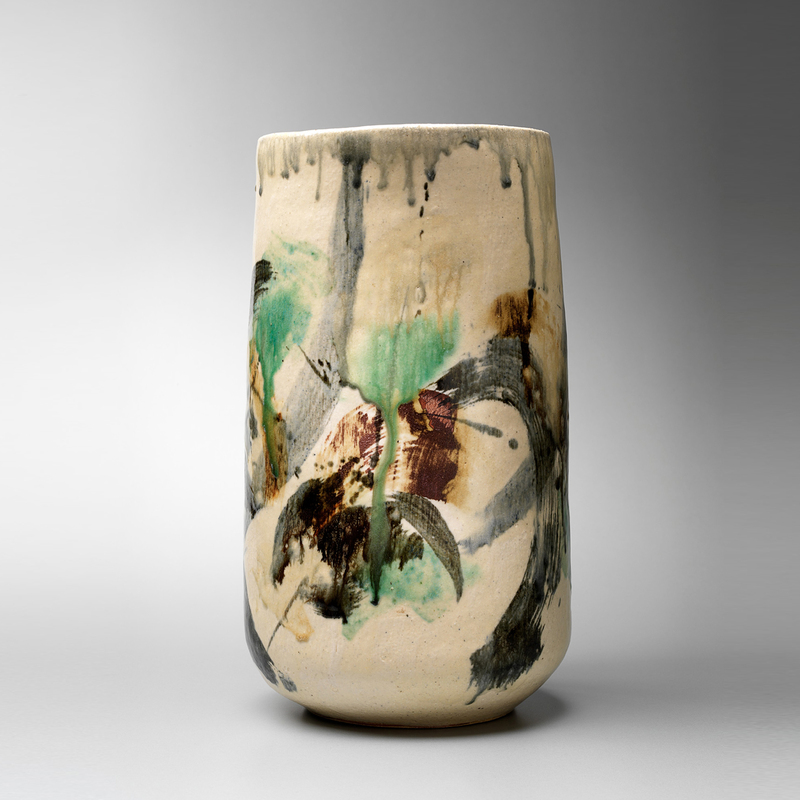 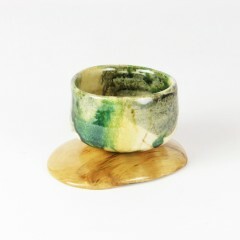 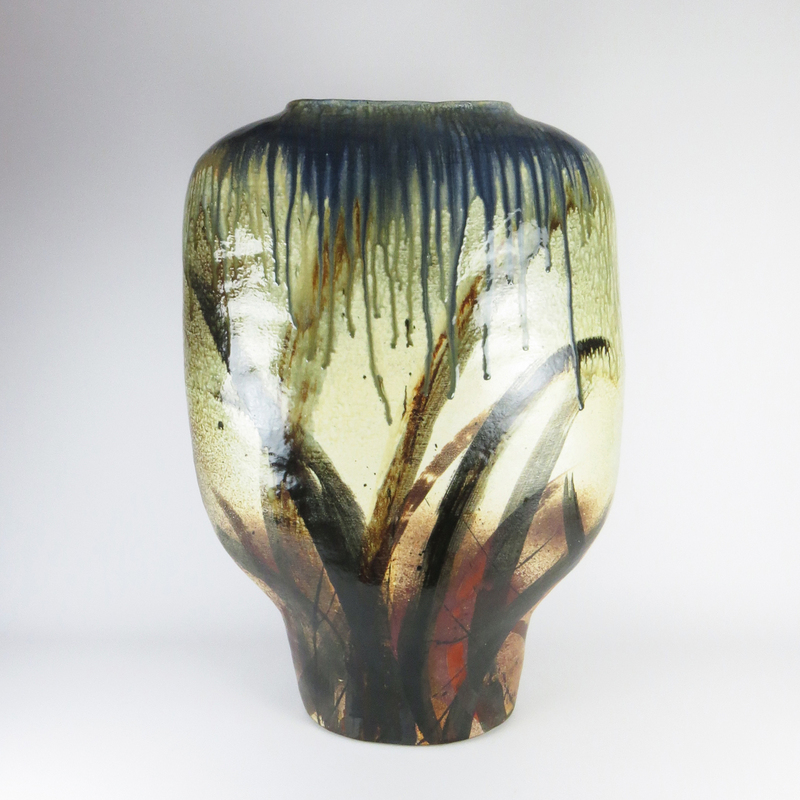 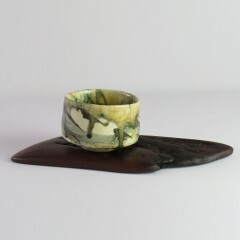 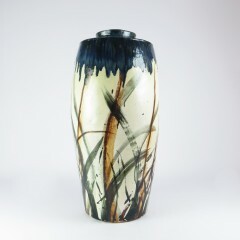 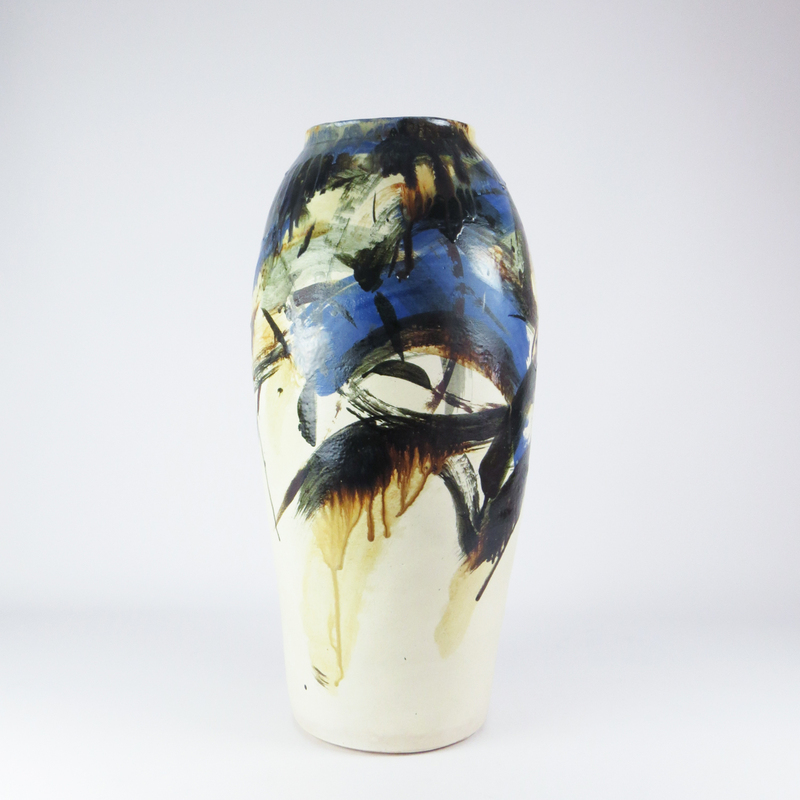 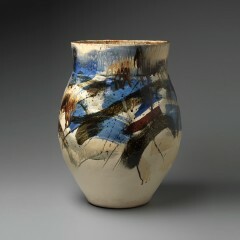 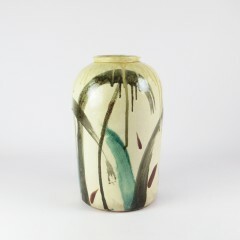 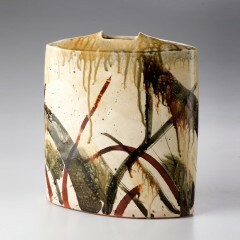 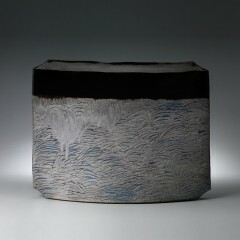 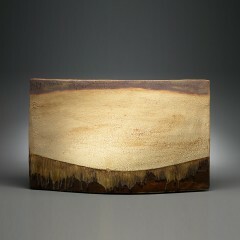 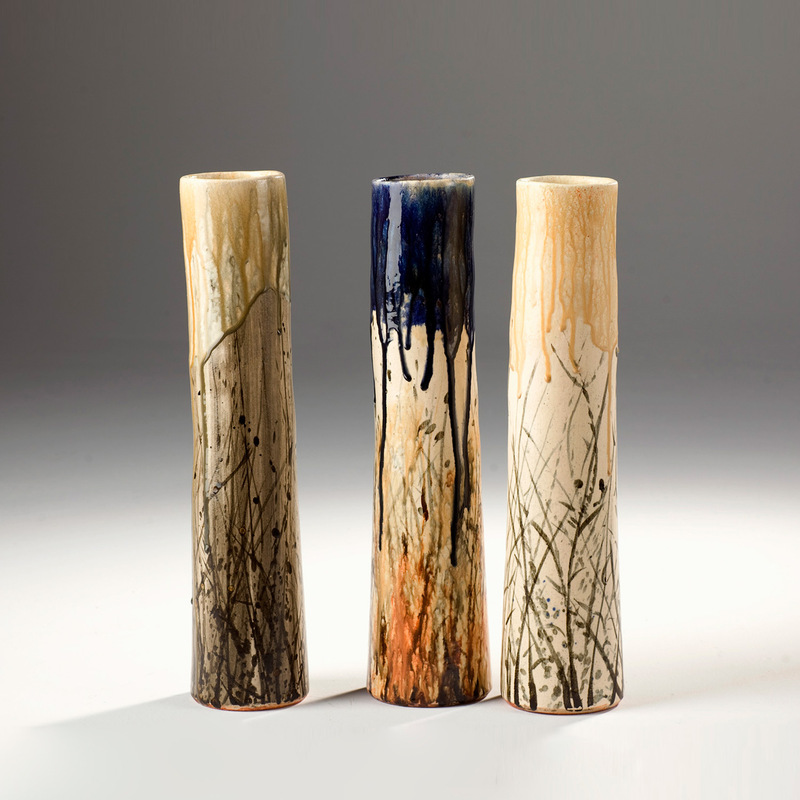 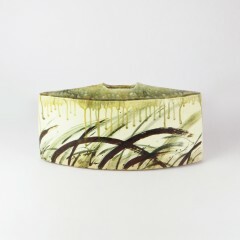 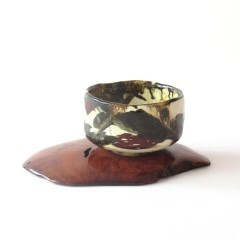 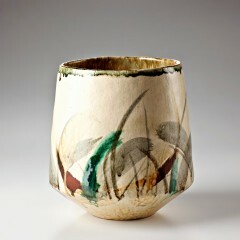 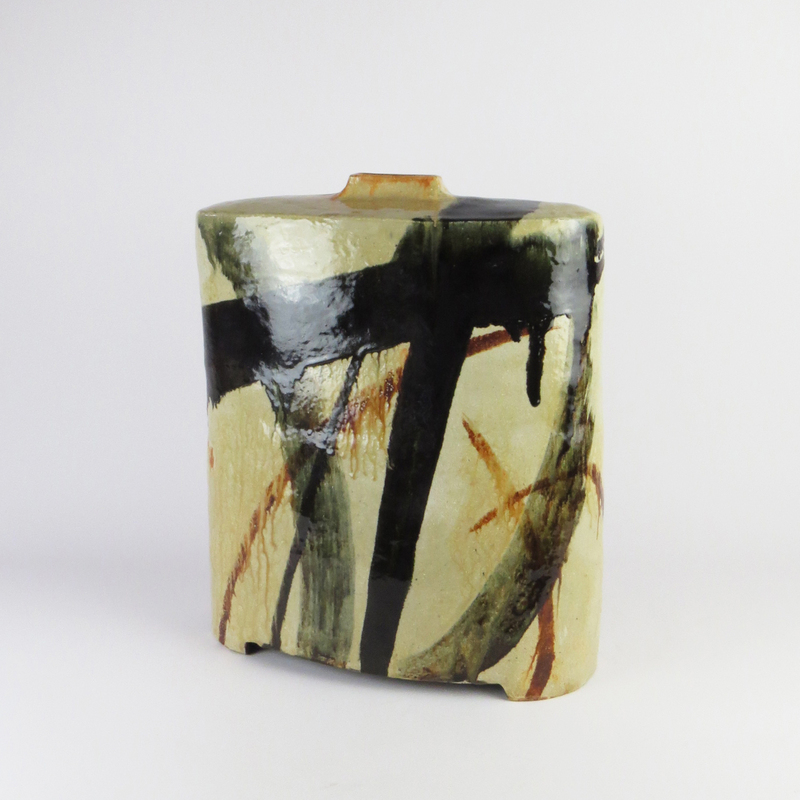 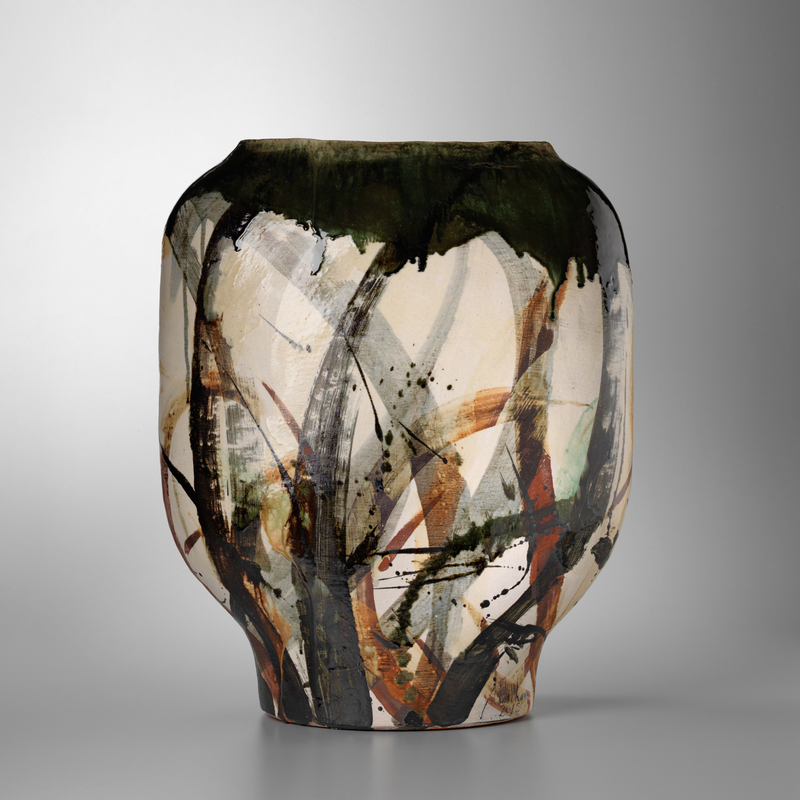 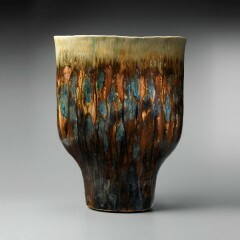 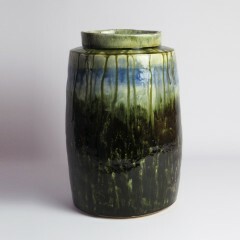 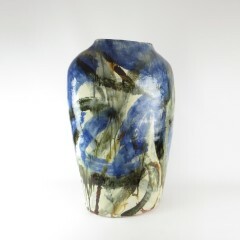 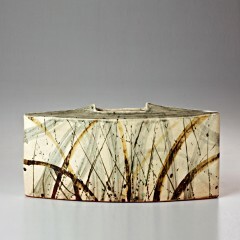 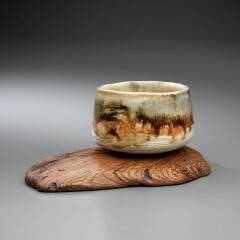 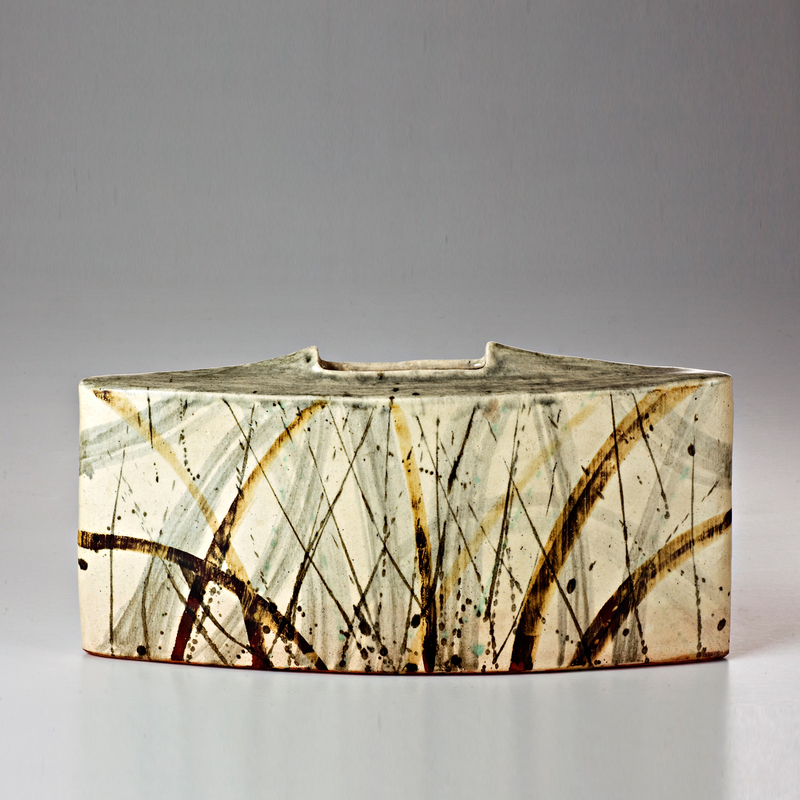 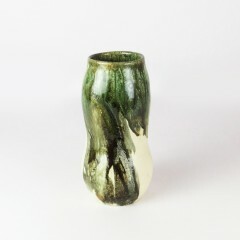 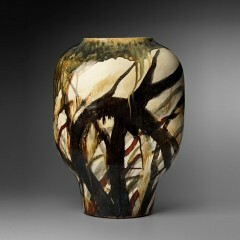 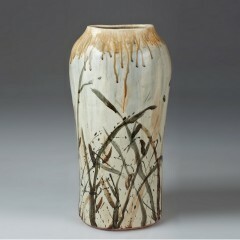 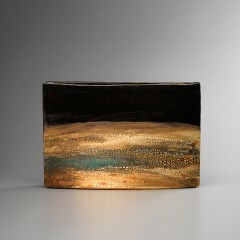 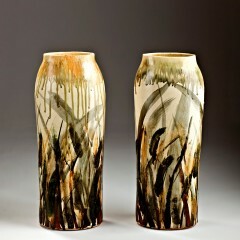 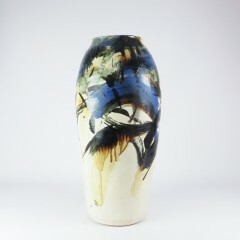 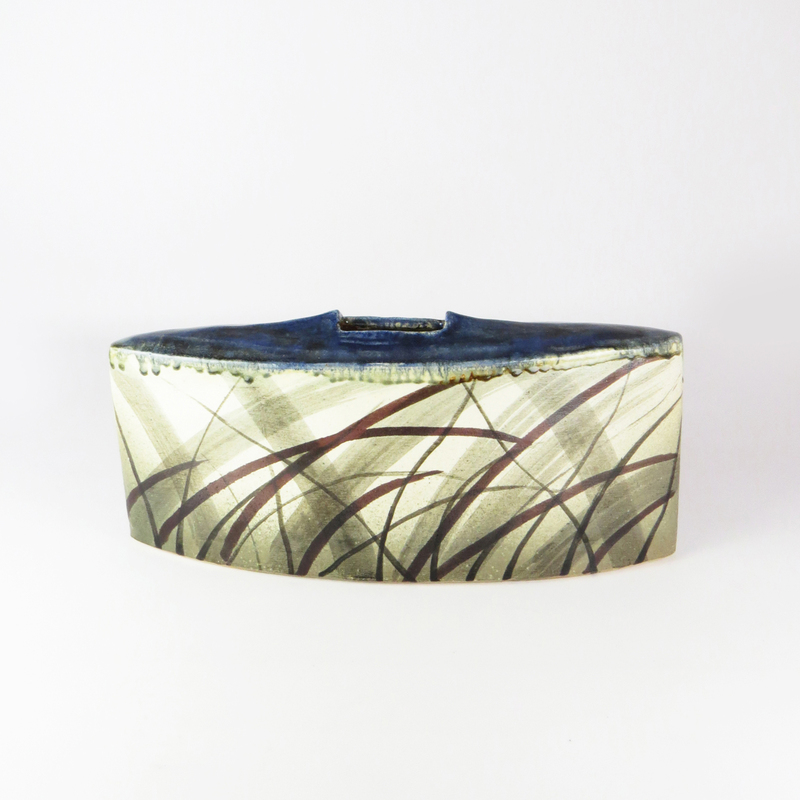 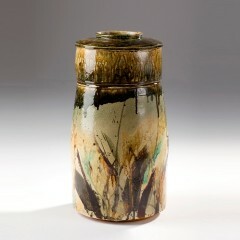 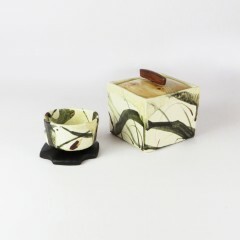 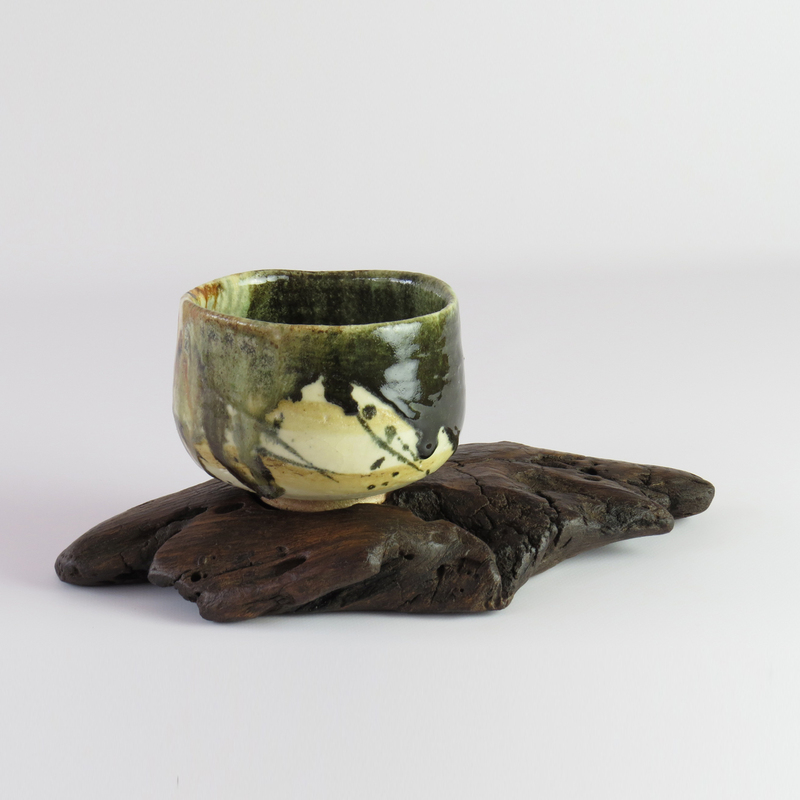 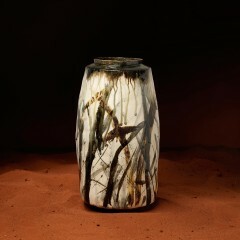 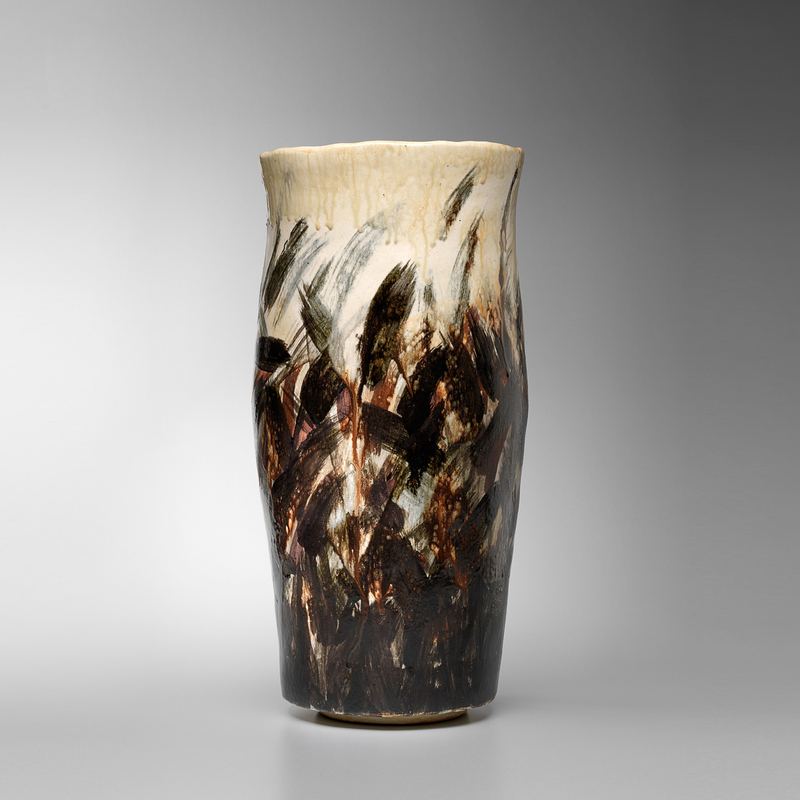 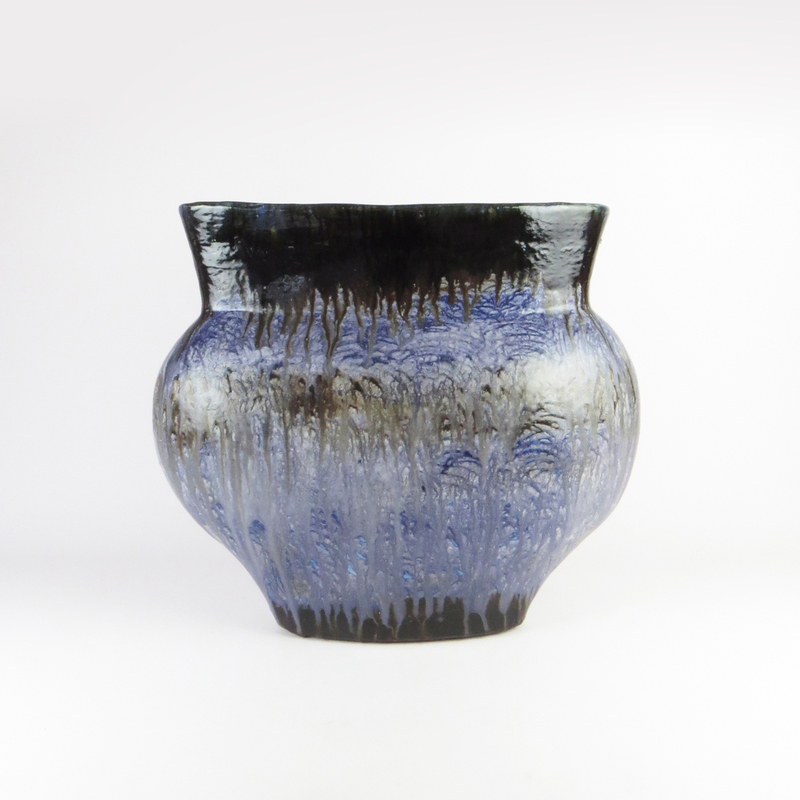 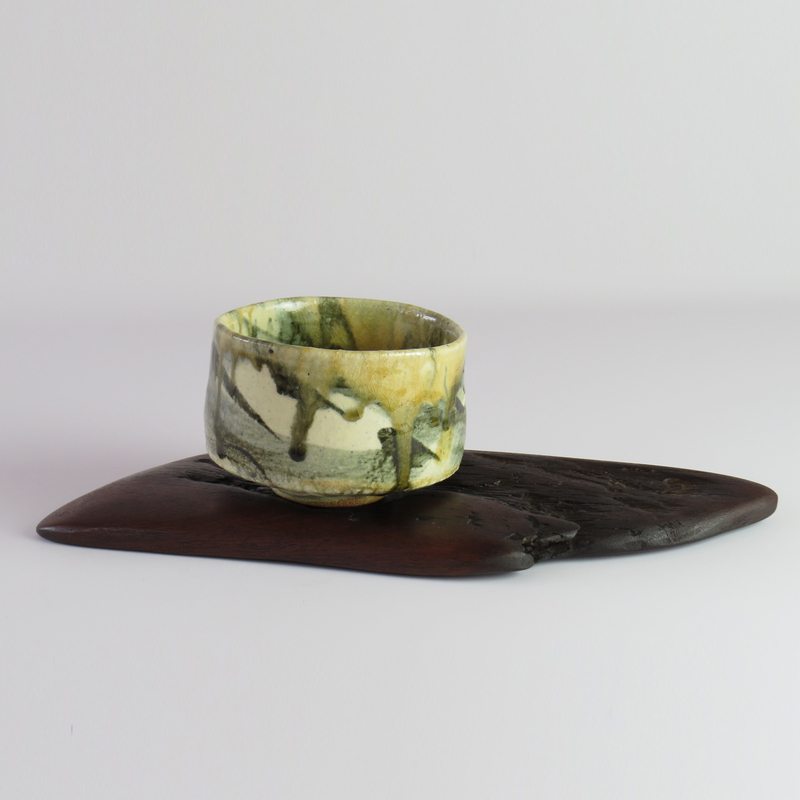 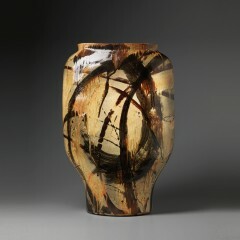 He was drawn to Japanese techniques in clay and spent a significant part of his career trying to master the art of Raku of which he no longer practices but elements find its way into his current work. 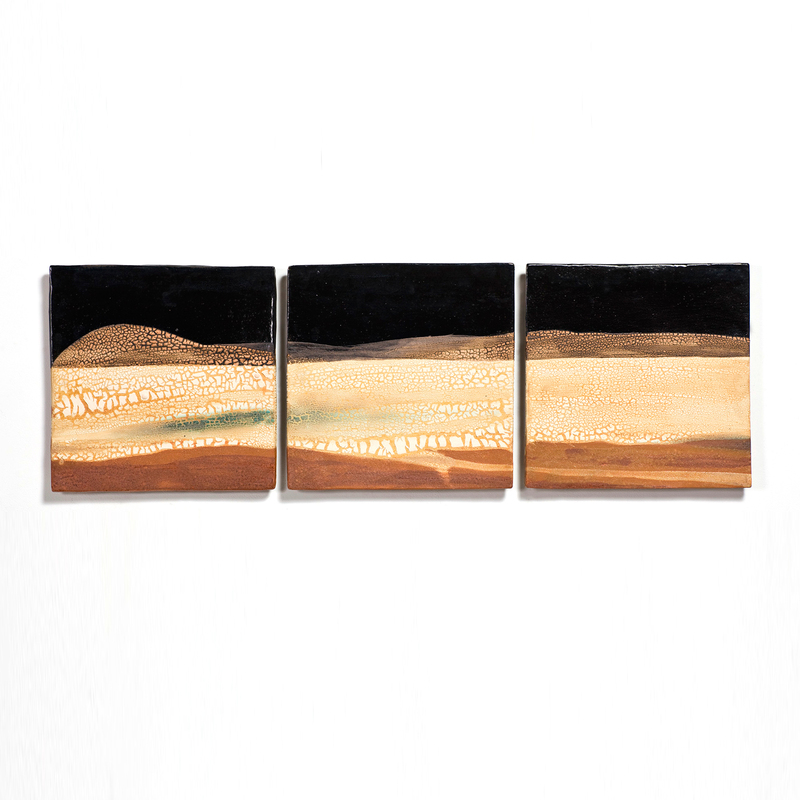 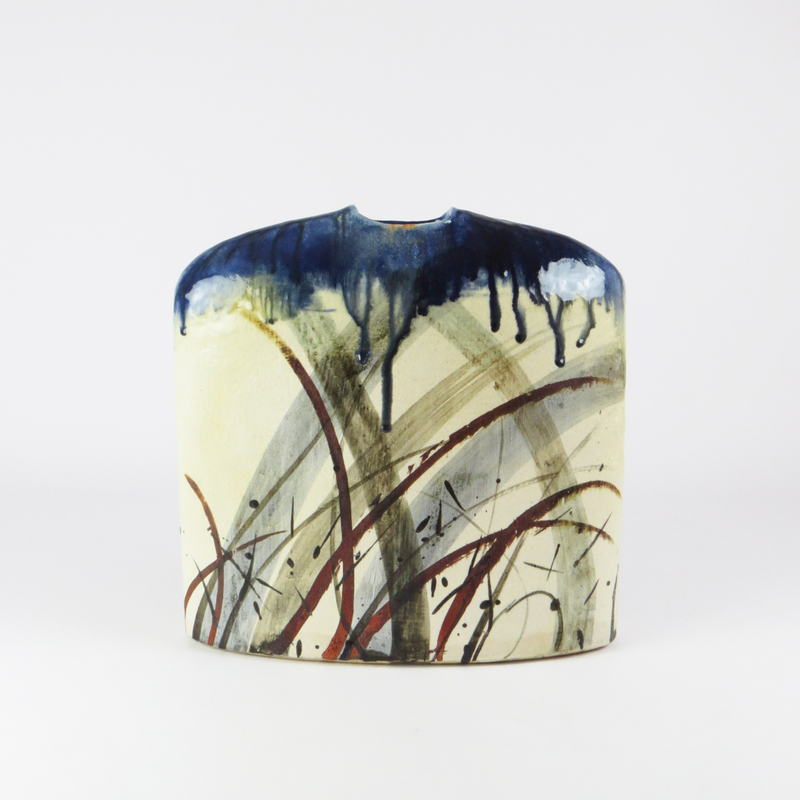 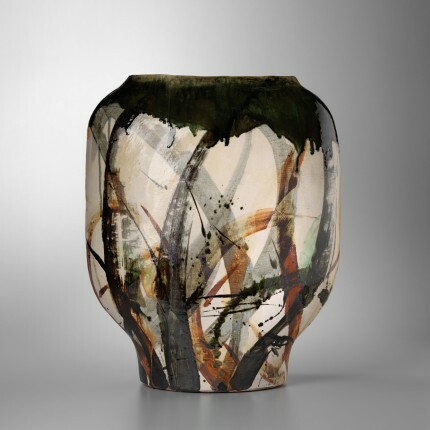 He is mostly known for his hand built clay bodies & multi-fired glazes that paint a literal or abstracted sense of landscape across or around the form. 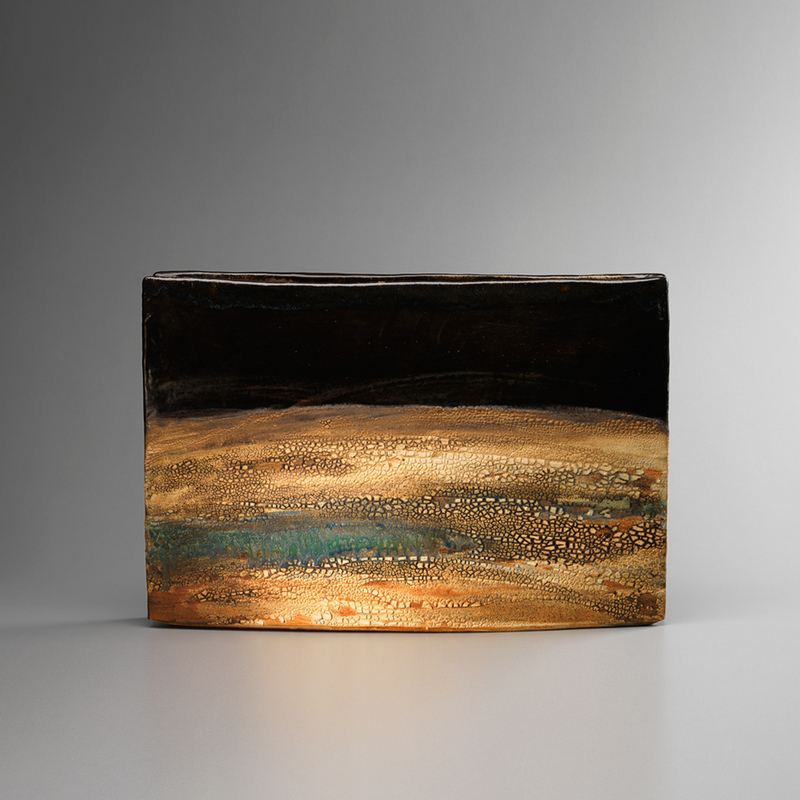 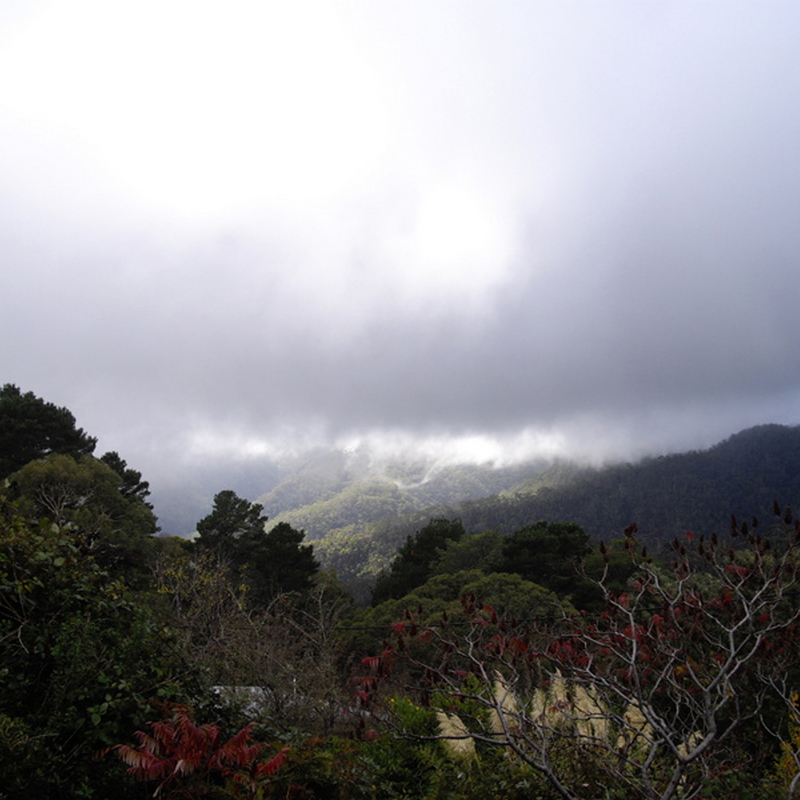 He sometimes employs deep textural marks that hint at the landscape it is inspired from and his palette meanders from deep copper greens, rusty reds and soft creams, with the contrast of pockets of black. 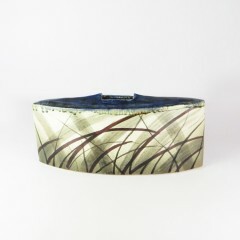 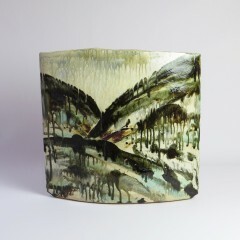 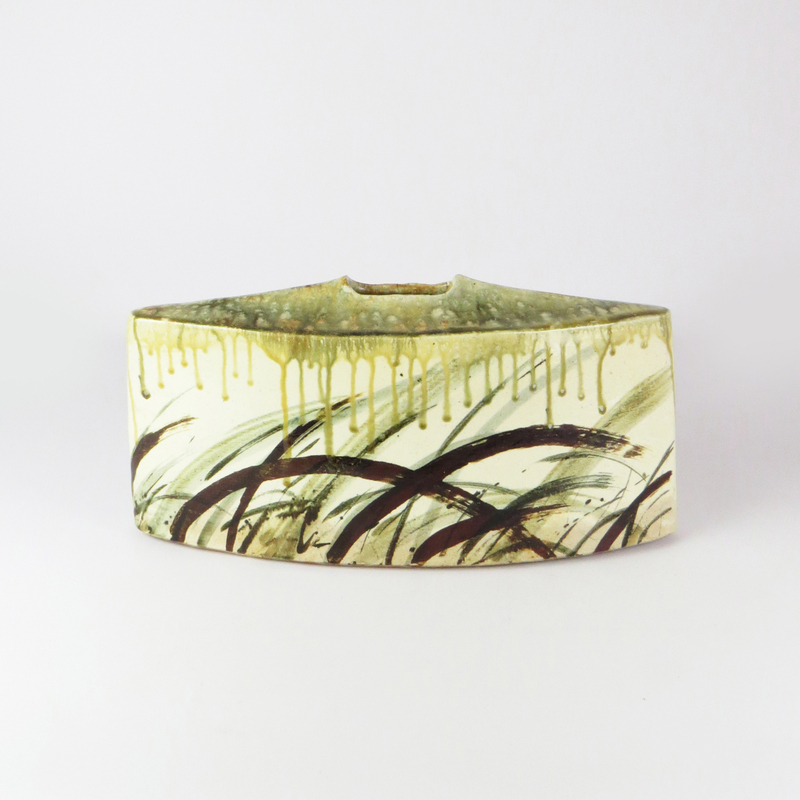 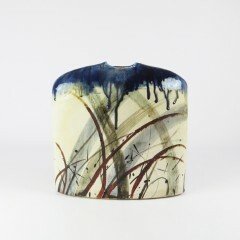 Over his 30 year career in ceramics he has sought to explore and adapt traditional techniques and processes, and feels that this is an essential part of his practice. 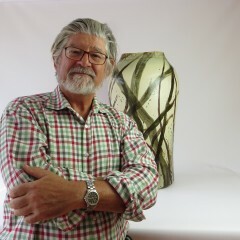 He is fascinated by the range that can be produced within the medium and believes that as a contemporary artist it is important to push the material in ways that have not been done before.